Every once in a while, an automotive manufacturer manages to hit a grand slam with one of their models, and the 2017 Corvette Grand Sport just may be the winning grand slam in the GM vs European competition World Series. In the early 1960’s, Carrol Shelby’s Cobras were dominating the racing circuits and not many sports cars of that era could come close to them on a track. Zora Arkus-Duntov, the first Corvette Chief Engineer, and a small team at Chevrolet set out to build 125 ultra light Corvettes called the Grand Sport with a chassis and suspension design intended for handling and speed on a race track. By building 125 cars, the Grand Sport would qualify as a GT production car under international racing rules. The project to build the cars was kept under very tight wraps within GM in order to keep the Bean Counters from killing the project. Unfortunately, the Bean Counters won and a mandate came down from GM Corporate to cease and desist. At that point, only five Grand Sports had already been completed. Much to Zora’s disappointment, the project was immediately killed off, but not before the five Grand Sports built, were ushered out the back door and into the hands of private racers. Over the following years, the Grand Sports went on to competitively race and give Carrol Shelby and his Cobra, a run for their money. GM resurrected the “Grand Sport” name plate in 1996 to honor the five 1963 Grand Sports built. 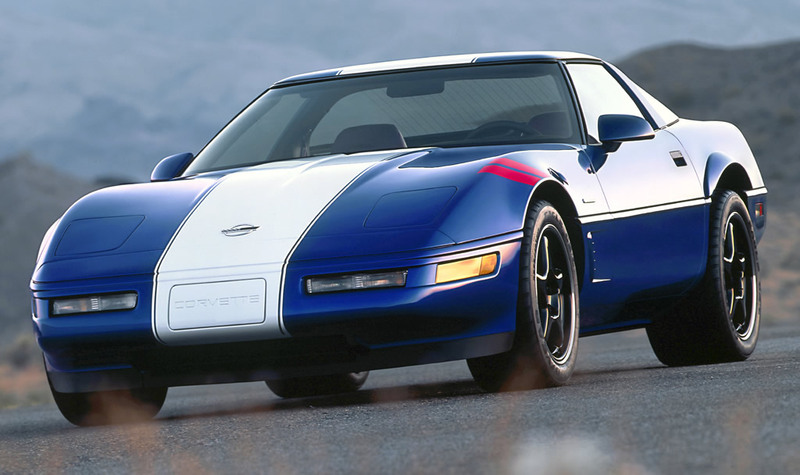 All 1996 Grand Sports were painted Admiral Blue Metallic with full-body white racing stripes, and red hash marks over the driver side front wheel, and a one-year only LT4 engine putting out a published 33o hp. While GM claimed the horsepower was only 33o, many owners who dyno-tuned their stock Grand Sports were seeing around 350 hp. Sharing wheels and tires from the 1994 – 1995 ZR-1 parts bin, the 1996 Grand Sport was a formidable track car as well as real stunner on the streets. In 2010, GM brought the Grand Sport back again featuring greater handling performance with wider wheels and tires, revised shock, stabilizer bar and spring specifications; and specific gearing. Grand Sport Coupes equipped with the manual transmission were uniquely outfitted for race track competition with a dry-sump oiling system, differential cooler and a rear-mounted battery for better weight distribution. Sporting the light weight LS3 engine, the C6 Grand Sport offered greater handling performance with wider wheels and tires, revised shock, stabilizer bar and spring specifications; and specific gearing. Grand Sport Coupes equipped with the manual transmission were uniquely outfitted for race track competition with a dry-sump oiling system, differential cooler and a rear-mounted battery for better weight distribution. 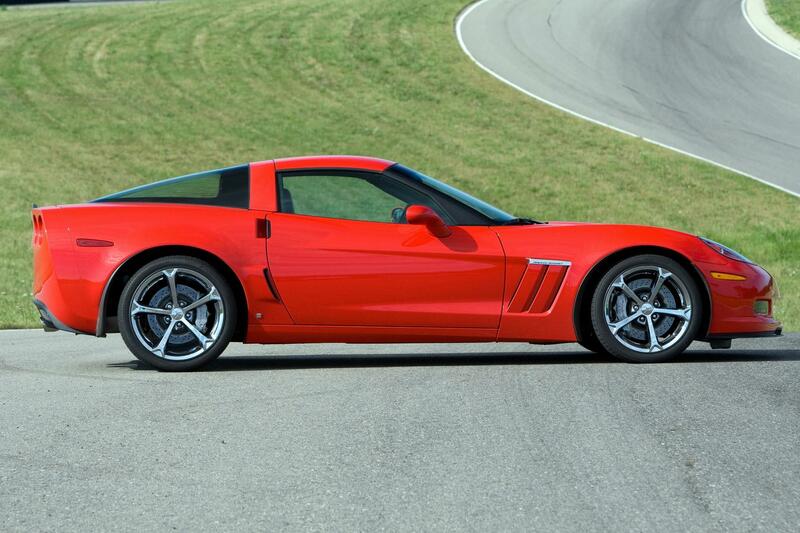 Priced between the base model Corvette and the 505 hp Z06, the C6 Grand Sport went on to be one of Corvette’s best selling models and adequately met the needs of someone who wanted a spirited daily driver as well as a weekend track attacker. Enter the 2017 Corvette Grand Sport! This time, Corvette Engineering pulled out all the stops, and built one hell of Corvette for the 2017 model year. Again, priced right in that sweet spot between the base model Corvette and the heavy breather Z06, the 2017 Corvette Grand Sport is basically a Z06 without the supercharged LT4 engine. Reaching into their bag of chassis and suspension magic, Corvette Engineers have built the ultimate Corvette for track and street and the automotive media and European competition are taking notice. 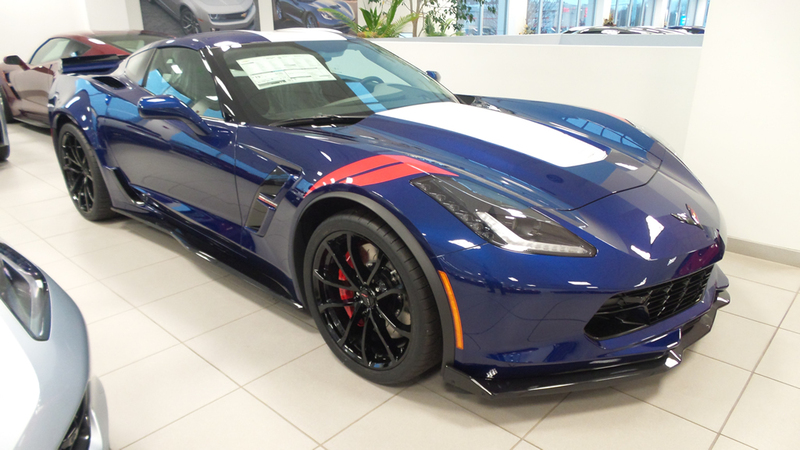 Our Sponsor, MacMulkin Corvette of Nashua, New Hampshire, has over 100 2017 Corvette Grand Sports in stock with some fantastic discounts in place; just in time for the holiday season! Luckily, the Corvette Marketing team has made it as easy as ever to pick out the Grand Sport that meets your wants and desires. Whether you want a Grand Sport that visually looks like the original 1963 Grand Sports, or a plush, luxurious boulevard cruiser, MacMulkin Corvette has every flavor of Grand Sport you could want. 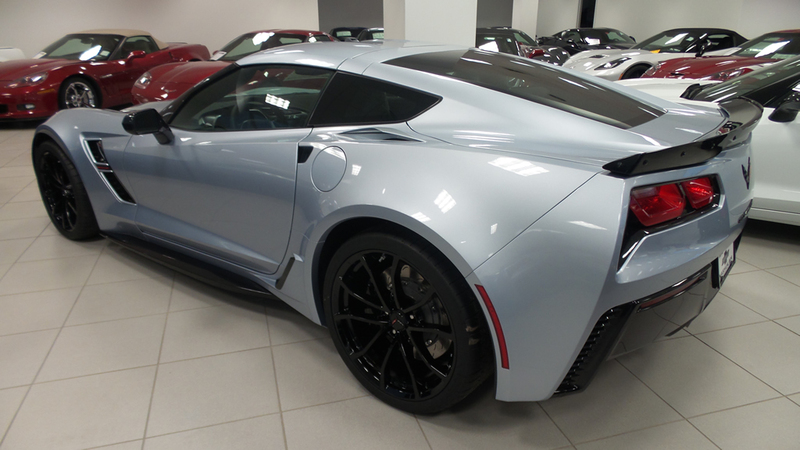 Check out their vast inventory and select one of the best Corvettes ever built! Why Shop at MacMulkin Corvette? The MacMulkin Corvette Team strives to work closely with each and every customer in order to help them select the very best Corvette for them. With no hidden fees or dealer documentation fees, the prices you see on their extensive inventory, are the prices you pay! If you order a new Corvette from them, they will comfortably guide you through the entire process. Once you receive you’re tracking number, you can check the status of your Corvette at any given time on their Corvette Tracking site. If you purchase one of their in-stock Corvettes, they make the entire sales procedure from the paperwork process to the delivery process, as quick and easy as possible. When you purchase your Corvette from MacMulkin Corvette – one of the top Corvette dealers in the country, you’re not just becoming another Corvette owner; you’re becoming a member of the Corvette family!